Subaki has an odd stat spread where he trades Attack and Resistance for Defense and Speed. There are many stats that will work as boons for him; conversely, there are only a few that will work effectively as banes. +ATK: The biggest thing holding Subaki back is his poor Attack. The fact that he has a +4 superboon in Attack goes a long way in fixing it and should be the first priority when building him. +SPD: Subaki naturally has a nice Speed stat at 35, which can be further improved to 38. Increasing this stat is a great start at turning him into a brawler. DEF: Subaki’s Defense is also naturally very good and can work well with a boon. However, his Attack and Speed hold higher priorities unless going for a heavy tank build. -HP: Subaki’s HP is unfortunately a suberbane, but is one of the stats that he doesn’t particularly rely on in order to perform well, therefore it can be reduced safely. -RES: His Resistance stat is poor and decreasing it further won’t affect most of his significant matchups very much. Subaki’s rather interesting stat spread means that he can easily discard the Quick Riposte B slot that makes him somewhat infamous as a skill fodder unit. His speed is high enough that, once invested in, he can reliably achieve doubles in Player Phase and deny doubles to his opponent during Enemy Phase- he is often capable of doubling in turn without needing Quick Riposte. This set enhances his naturally-high stats (Spd and Def) to make up for his poor Attack, assuring doubles on his opponent where he will proc Bonfire to confirm a KO. To accomplish this, he needs to equip a Slaying Lance and increase his speed enough to assure a double, which can be tricky on units such as Ayra, Mia, and Soleil. This can be done through his A slot and forges, but is particularly helped along with Chill Spd in his B slot, which reduces his fastest opponent’s Speed by 7. This allows Subaki to spend more of his build focusing on improving his poor Attack stat. Finding the balance between Speed and Attack is key in ensuring his effectiveness on the battlefield. Fury is generally taken because it boosts all of Subaki’s stats, which benefits him in particular due to wanting to increase Attack/Speed/Defense all at the same time to run this build. The Bond skills are good alternatives that can increase his desired stats even further, however it’s not always feasible to coordinate an adjacent partner for Subaki when he’s attacking during Player Phase. Fortress Defense is the last option, which increases Bonfire damage and tankiness during both phases at the price of reducing his already poor Attack value. If not running Chill Spd, then Renewal or Swordbreaker can both work in his B slot. Renewal helps Subaki to heal off his Fury damage and maintain his tankiness throughout long skirmishes, whereas Swordbreaker allows him to more effectively shut down the fast swords in the meta. 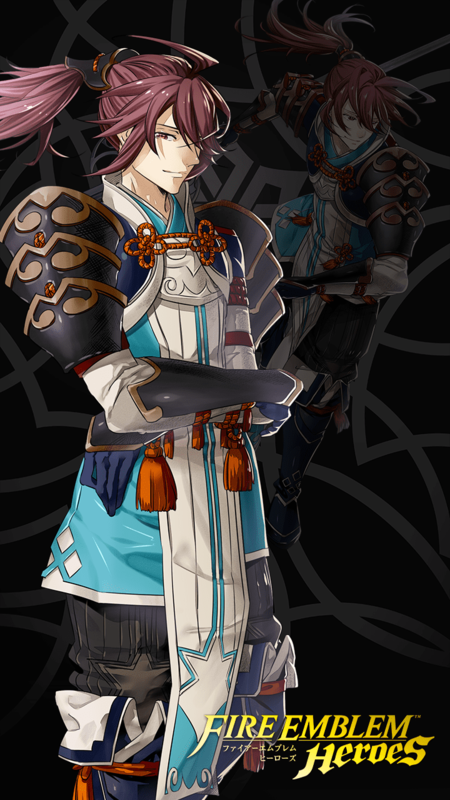 His C slot is best suited for Threaten Defense, which helps him do more damage despite his low Attack stat. This can be replaced by emblem-appropriate buffs where necessary. This Subaki takes up some of his default kit and works during the Enemy Phase. In this particular build, we’re letting go of his Speed stat- it’s high enough to generally avoid doubles, and Quick Riposte negates the need for it to be high enough to double himself. In return, his Attack and Defense require serious attention, both to be a functional physical tank and to strike back with some kind of force. Bonfire is still preferred as his special due to his ability to negate doubles because Ignis will only proc on his second attack if his opponent attacks him twice. While this is possible, particularly with units such as Ayra, Mia, and Slaying Sword Soleil (so if you’re using Subaki to counter them, you’ll want to spring for Ignis), it’s not as effective for general use. Atk Def bond is a fantastic A slot for a defensive Subaki because it enhances his best stat and his stat in need of most enhancement. In addition, it is rather simple to set up an adjacent partner with flier teams, particularly for baiting units in the Enemy Phase. If it’s too much, Steady Stance is always a good fallback and will increase his Defense by a static +6 at all times. With an Attack IV, this set brings Subaki’s Defense up to 50, which is generally enough to take 0 damage from red units and limited damage from blues, while also increasing his Bonfire proc to 25. He keeps Quick Riposte here in order to maintain his ability to double in Enemy Phase, though he can pick up Renewal instead for more sustain- if this is the case, he may want to pick up Quick Riposte through his Seal slot instead. For a cheaper build, you can feel free to leave him with his default Sapphire Lance- this ensures that he’ll completely wall off all physical red units, which can be very helpful in Arena Assault. Threaten Attack serves to make him take even less damage in engagements. This Subaki may not win the battle outright, but he generally achieves his victory through war of attrition. Subaki has a very unique stat spread that not many other heroes in the game can lay claim to. He trades a laughably low Attack and fairly low Resistance for great Defense and Speed stats, which ensure three things: he will rarely be doubled, he will never get OHKO’d by physical damage, and he will never kill anything without a special proc. He generally solves the third problem through use of Bonfire, which uses his high Defense as an offense and helps him to burst down enemy units through his Specials. It also helps that his Attack stat is a superboon, allowing him to hit a respectable 29/35/35 ATK/SPD/DEF while maintaining an average HP bulk. His low Resistance makes him a prime target for anything magical- Subaki may be an expert, but his expertise lies solely in the physical attacker realm, and he crumbles quickly at range. Subaki’s high Defense and Speed allows him to play a highly defensive role that prevents doubles while also mitigating the enemy’s damage from their single attack. This also makes him versatile- he can function well in Player or Enemy phase with different builds. Subaki’s base kit is highly effective at making him an anti-red tank. This allows him to function very well in Arena Assault out of the box, and he can stop many Ikes, Ayras, and Mias with very little investment required. Unquestionably his biggest weakness, Subaki’s Attack stat is a paltry 25, which makes it difficult for him to secure kills. This is somewhat mitigated by being a superboon, but even then he still cannot break 30 natural Attack. While ordinarily, Subaki’s low RES wouldn’t be too much of an issue as it min-maxes him nicely, it prevents him from being able to run an effective DC build, despite his high Defense that he could use to counter physical ranged attackers with. This also makes him exceptionally weak to magical attacks and dragons, particularly from green units. As a flier and a blue physical tank, Subaki naturally pairs well with other fliers and other units who have trouble handling reds. Flier Teammates: Units such as Caeda, Hinoka, Minerva, and NY Camilla can offer him much-needed flier buffs that allow him to do his job better. Fragile Greens: Green units with limited dueling capability such as Nino, Raven, Cherche, and LA Lilina appreciate being able to hide behind Subaki’s fantastic blue bulk . Slow Armors: He can also be used as a Guidance unit, increasing the effectiveness of armors such as Amelia, Hector, and LA Hector. Due to his low RES and emblem weaknesses, Subaki is easily countered by a lot of magic, greens, and bows. Mages: As far as magic is concerned, even blue mages such as Linde, Reinhardt, and Delthea can handle him easily. RES-Attacking Greens: Fae, Nino, and Myrrh are all hazards to him, despite Subaki being one of the few units who can naturally double Myrrh. Archers: Bow units like Bridal Cordelia, Brave Lyn, and Leon can all pose serious threats to Subaki with Brave Bow builds. With a defense boon and defense refine, Subaki reaches a staggering 42 defense. His HP is also very good for a flier, so with those traits alone he'd be a flying physical wall comparable to Beruka. But he has one winning aspect over her. His impressive 35 base speed. With a speed tier like that, Subaki negate MANY doubles (With minimal support) from high threat reds like Mia and Ayra, and still take next to no damage if any at all. For this build we're emphasizing his physical walling prowess, longevity, and semi-unique ability to function equally well in both phases. For the weapon, Slaying lance is chosen to make proccing specials faster, which is helpful with that monster Ignis he packs. Swap comes default with Subaki and is great for putting him between threats and allies. For A skill, since we want to keep him from being locked to one phase, Brazen Atk/Def is chosen for improving his admittedly lacking attack, and further bolstering his impressive defense. A single stat boosting A skill can also be used if you want. Fury however isn't advised as making a wall unit that constantly loses HP screws them over pretty hard. For B Renewal is chosen as it's one of the few B skills that directly benefits pure bulk sets, naturally granting healing without a healer. Guard is also an option if you wish to prevent specials from just ripping through him. On C Hone Fliers is used to grant offense to his team, since he already doesn't really gain as much benefit himself from trying too hard trying to fix that attack, but if you have another ally with Hone he's a good option to have as the second unit with it. He also can work well on mixed teams using Guidance and Tactics. For the Seal he uses Iotes to keep archers from denting him, leaving his only weakness as magic. Although Guidance and tactics seals are also good if you want to go mixed teams. All in all Subaki makes for a great physical wall on flier teams that is often overlooked due to his wet noodle attack stat and value as Quick Riposte fodder. Use Subaki and I promise you'll be surprised. Tannenboom makes him a quick tank who excels in defence. Qr is there as while he is not in brazen range he cannot reliable double but the moment he hits 80% hp he has 52/44/41/21 stat spread on initiation. He is normally ran in a flier emblem setting where he shines. This build is high investment but i like the unit. The Iote's Shield SS frees up Subaki's A slot and makes him truly the tank of the flier emblem team, a boost that the team desperately needed. His A slot is free of use and could mean running something like Distant Counter to stop ranged heroes in their tracks, but be forewarned about his low res, as green mages will waste him with little effort. (A build for my favorite Fates character. Aiming for +10 five star merged to make it better for myself) A set with decent enough attack that becomes even higher with death blow. Bonfire always activates when under attack, dishing out a hefty 20 damage. It only gets better with flier buffs. This set makes Subaki perfect (pun intended) for both player and enemy phase. The stats are added by two because summoner support was considered in, as well as the defense +3 seal. Sapphire LanceGives Atk+20% if weapon-triangle advantage, Atk-20% if disadvantge. Sapphire Lance+Gives Atk+20% if weapon-triangle advantage, Atk-20% if disadvantge. Quick Riposte 1Unit automatically makes a follow-up attack if attacked at HP ≥ 90%. Quick Riposte 2Unit automatically makes a follow-up attack if attacked at HP ≥ 80%. Quick Riposte 3Unit automatically makes a follow-up attack if attacked at HP ≥ 70%.